The listing originated in 2004 at which time it included a sub category for those hills that met the qualifying height but only had 14m or more and below 15m of drop, these are now known as the 500m Subs. This listing now includes two other sub categories; the 490m Subs and the Double Subs and this Change Register details those hills that are, or have been listed within the 490m Subs category. 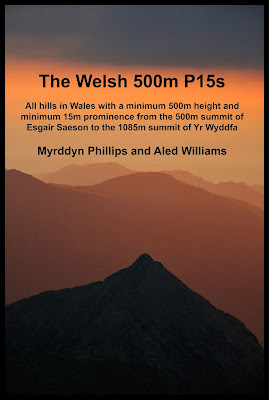 The 490m Subs are those hills that fail to meet the Welsh 500m P15 qualification by 10m or less of height, these are the hills that are 490m or more and below 500m in height that have a minimum 15m of drop. 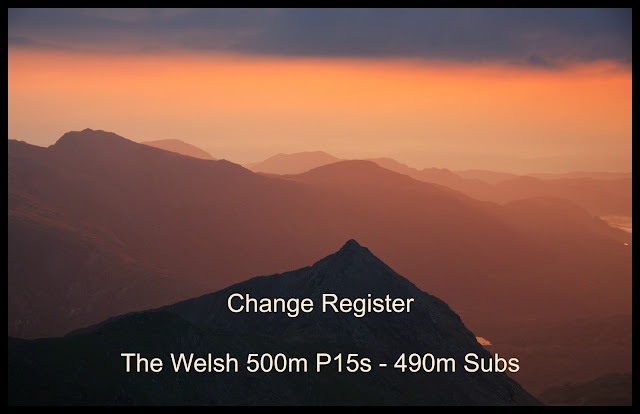 It seems fitting that the list of ‘The Welsh 500m P15s – 490m Subs’ should now benefit from a detailed Change Register, and although the hill list in its entirety is not yet published it is prudent for this Change Register to initially detail the changes to this sub category since the November 2015 introduction published on the Mapping Mountains site. The Change Register to ‘The Welsh 500m P15s – 490m Subs’ appears below with the reclassifications to the 490m Subs list being detailed chronologically in receding order. The addition of this hill to 490m Sub-Uchaf status was announced on the Mapping Mountains site on the 08.10.17, the hill was previously not classified as with an estimated drop of c 15m based on the 489m summit spot height that appears on the Ordnance Survey 1:25,000 map and an estimated bwlch height of c 474m based on bwlch contouring between 470m – 480m its summit did not reach the minimum qualifying height of 490m for this sub category. The hill’s addition to a 490m Sub-Uchaf is due to analysis of LIDAR data by Aled Williams, with the resulting 49o.1m summit height and 474.9m bwlch height giving this hill 15.2m of drop, which when coupled with the hill’s summit height is sufficient for it to qualify as a 490m Sub-Uchaf. 490m Sub-Uchaf total increases by one and confirmed as 63. This hill’s reclassification from an Uchaf was announced on the Mapping Mountains site on the 13.03.17, with the hill previously listed with an estimated c 500m summit height based on the flatness of the summit area in relation to the small uppermost 500m ring contour on Ordnance Survey maps. 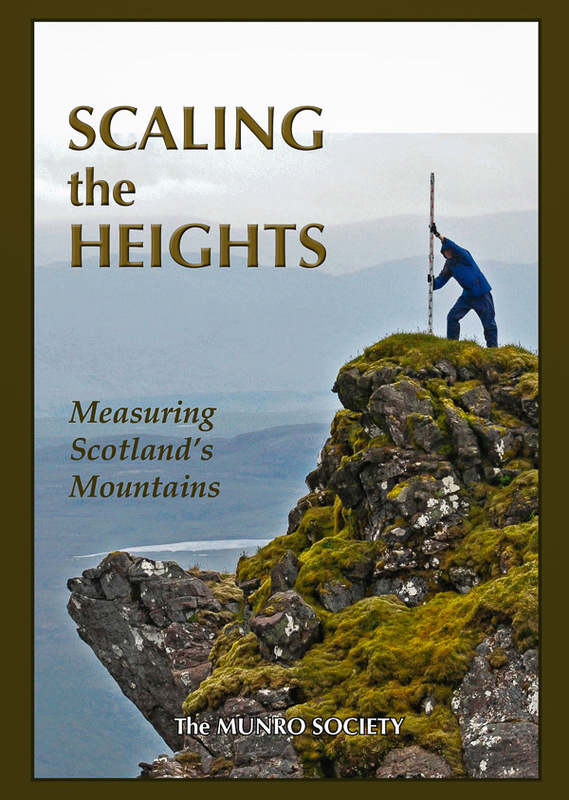 The hill’s reclassification to a 490m Sub-Uchaf is due to analysis of LIDAR data by Aled Williams, with the resulting 499.1m summit height being too low for the hill to qualify as an Uchaf. 490m Sub-Uchaf total increases by one and confirmed as 62. This hill’s reclassification was announced on the Mapping Mountains site on 10.01.17, with the hill previously listed as a 490m Sub-Uchaf with 16m of drop based on the 498m summit spot height on the Ordnance Survey 1:50,000 Landranger and 1:25,000 Explorer maps, and a 482m bwlch spot height on the Ordnance Survey enlarged mapping hosted on the Geograph website. This hill was reclassified from a 490m Sub-Uchaf to a Double Sub-Uchaf from LIDAR data analysed by Aled Williams, resulting in the hill having a 496.2m summit and 481.3m bwlch height, with these values giving this hill 14.9m of drop which is insufficient for this hill to retain its 490m Sub-Uchaf status. 490m Sub-Uchaf total decreases by one and confirmed as 61. 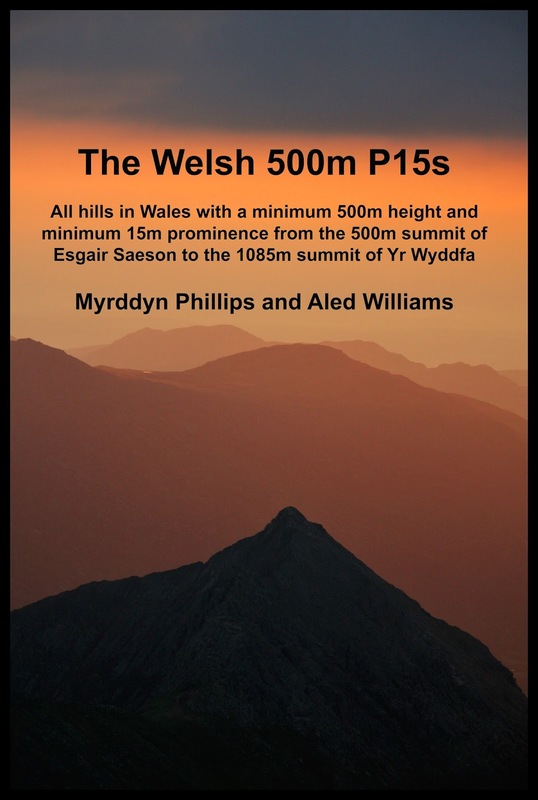 4th November 2015 – Mapping Mountains first publishes details to ‘The Welsh 500m P15s – 490m Subs’. 490m Subs total confirmed as 62.